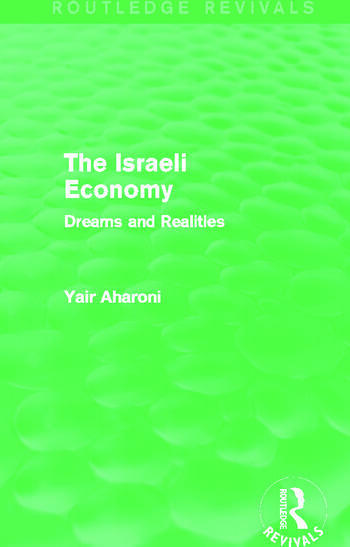 First published in 1991, during a significant stagnation in the Israeli economy, this title discusses the causes of the economic downturn, and assesses the country’s prospects. Throughout, Aharoni measures the economic problems Israel has endured against the social and economic successes it has been able to achieve. He highlights the incongruities of the aspirations of Israel’s founders and supporters and the reality, as well as the interplay of economic and political forces that have shaped this. With a detailed introduction to the ideology and development of the state of Israel, and a history of the Israeli economy and its institutional structure, this title will be of significant value to any student studying the economic history of Israel and the Middle East.